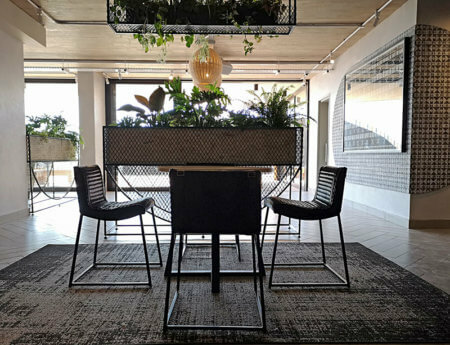 The WEX/ Stock Exchange is one of Cape Town’’s latest mixed-use buildings that highlight apartment living. This bold new residential complex on Albert Road, is positioned opposite the Woodstock Exchange building in Woodstock. We are proud to be one of the many artisans and brands that have contributed to the residences. Thirty-three apartment-style rooms, split into three bold, playful and captivating themes: urban jungle, urban art and urban pattern. Each room offers views of Cape Town’s authentic city landscape complementing the property’s creative essence. ‘It’s wonderful to see how our design language, through our couches, stools and coffee tables, can add to such a creative space”,’ says Dark Horse director, Jarrad Nelson. The Stock Exchange is a dynamic new apartment-living offering by Newmark Hotel group. The Stock Exchange’s unique interior design principles place much emphasis on the celebration of local talent and the formation of a genuine connection with the neighbourhood. Furniture and decor items in the Stock Exchange’s rooms will be pinpointed on a “ ‘design map”’ of Woodstock, enabling guests to purchase similar goods and support the region’s artisans. We have added over 90 pieces of modern design furniture that enhance the dynamic and bold interior vision of Studio Lee Lynch. For the Dark Horse brand, provides a unique element : at one stage we had a studio and retail space opposite the Woodstock Exchange and now, five years later, we are adding to the fabric of the neighbourhood. 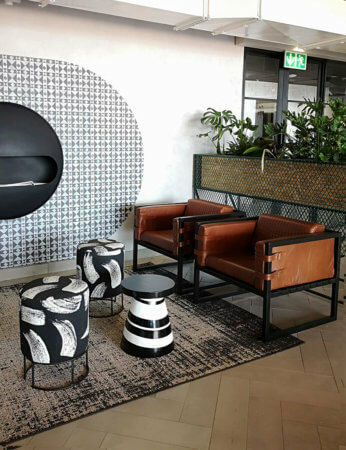 The new Stock Exchange offers stylish apartment living and, with quick access to the Cape Town central district, it is sure to be a must-stop location for visitors hoping to explore both the city and the local area. 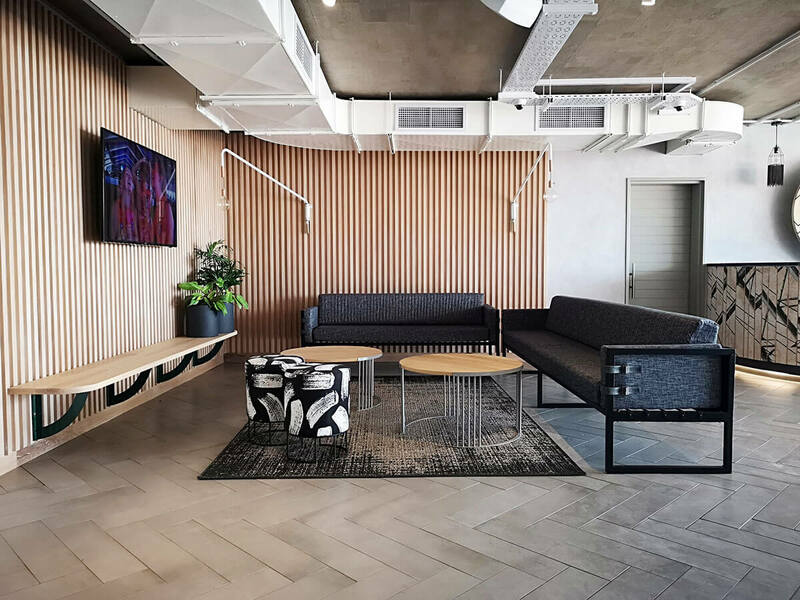 Posted in Featured, General, Inspiration, Interviews, News, Projects, Uncategorized and tagged Apartments, cape town, Coffee Tables, Couch, Stools, WEX.